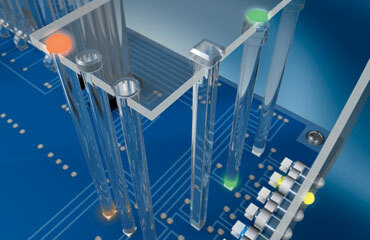 MENTOR Light Pipes / Light Guides are precision optics that precisely manage the light emitted from today's powerful LEDs. MENTOR are world-leading experts in the design and in-house manufacture of such components, and - as 1st-tier suppliers to major automotive and other OEMs - MENTOR is a preferred partner to deliver complete custom lighting / LED optics solutions. Their standard light pipe / light guide range is amongst the most comprehensive in the world and includes over 450 part numbers, the majority of which are immediately available ex-stock. This comprehensive range allows even lower-volume projects to exploit MENTOR's LED competencies and dimensional variations are often possible with little or no tooling cost. MENTOR’s new M-CUT 2-D custom light pipes require no tooling investment and have low MOQs, thus opening a whole new creative world to Design Engineers with smaller volumes. NEW, UNIQUE, EX STOCK AND LOW MOQS! INDICATOR LIGHTS - EX STOCK, LOW MOQS! 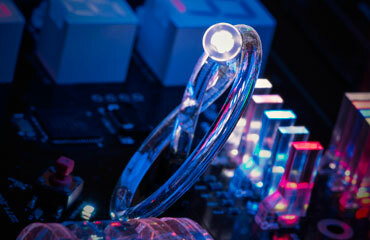 Sophisticated lighting can add that “extra edge” to differentiate your product in the modern consumer world. MENTOR’s Circular “Ring” Light Guides (also known as “Corona” Light Guides) provide an innovative, compact lighting solution with a thin, flat construction - just 4mm thick - that is suitable for many applications: illuminated switches, buttons, knobs, controllers, jacks or logos. 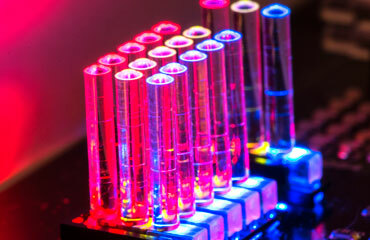 The compact design, using just one LED, saves space both on the PCB and the size of the housing when compared with other solutions, such as a ring of multiple LEDs. Another benefit is that the position of the PCB is independent from the location of the Ring Light Guide. These innovative front panel LED indicator lights by MENTOR are based on a single SMD LED, with a compact design and simple Push-fit assembly. Suitable for indoor or outdoor applications, waterproof, UV resistant and available in standard Ø3mm or Ø5mm versions as well as customisable with little or no tooling cost. Front panel light guides / light pipes are the optimum solution when a design calls for a light guide that is not physically attached to the PCB. They push-fit into a hole in the front panel and their light-inject face floats in close proximity to the SMD LED without actually making contact. 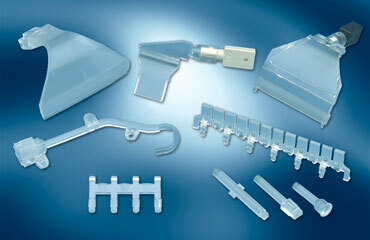 Ø5, Ø3 and miniature Ø2mm sizes, IP68-rated, square head and rear-mounted front panel light guides are all available. The shape and dimensions of these 2D light guide systems can be customer-specified with no tooling cost and an MOQ of just 300pcs!! 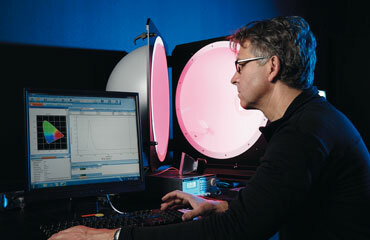 MENTOR will advise on the type and position of LEDs and validate optical performance using specialist software. M-CUT light pipes / light guides are available in three customisable types: area, bargraph and solid strip. Flexible light guide / light pipe systems from MENTOR offer an elegant and cost-efficient solution for many opto-electronic design challenges - not least for a minor design change during a mid-cycle face-lift. 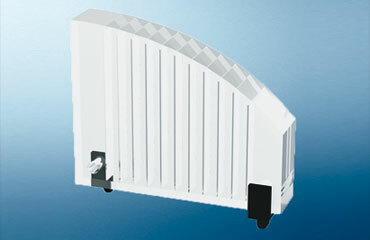 The most popular versions are designed for use with SMD TOPLEDs, although THT versions are also offered. Horizontal PCB-mounted light guides / light pipes from MENTOR are used in applications that call for light to be emitted from a panel that is positioned at right angles to the circuit board. MENTOR offers both classic Ø3mm element versions for the 5.08mm grid and miniaturised Ø2mm versions for the 2.54mm grid, as well as hybrid combinations of the two types. Round, square and rectangular element versions are all available. Despite the close proximity of tiny elements, clever design coupled with precision manufacture ensures that there is no light bleed, even when different colours are adjacent. Vertical PCB-mounted light guides / light pipes from MENTOR are used in applications that call for light to be emitted from a panel positioned parallel to the circuit board. MENTOR offers these upright light guides in both classic Ø3mm element versions for the 5.08mm grid and miniaturised Ø2mm versions for the 2.54mm grid, as well as hybrid combinations of the two types. Both round and rectangular element versions are available. As with MENTOR's horizontal light guides, clever design and precision manufacture ensure that there is no light bleed, even when different colours are adjacent. MENTOR has unique competencies in custom light pipe design and manufacture. Few companies globally can equal its combination of innovative, engineering-led and precisely-simulated design supported by “boringly efficient” manufacturing performance. Most of MENTOR’s 500+ standard (ex-stock & low MOQs) light guides can be modified in terms of dimension and fixings with little or no tooling cost. In addition, MENTOR’s highly-qualified lighting engineers can produce cutting-edge, customer-specific product lighting solutions. Please contact Multitron so we can guide you towards a solution to your lighting challenge. MENTOR (world-experts in the management of LED-emitted light, highly invested with 600 employees and a near-100 year electronic component legacy) offers standard light guide / light pipe designs in over 450 variants plus infinite opportunities for dimensional variation with little or no tooling cost. Despite such a large and globally popular standard range, half of MENTOR’s business comes from the design and manufacture of totally custom LED lighting /LED optics system solutions for major automotives and OEMs. 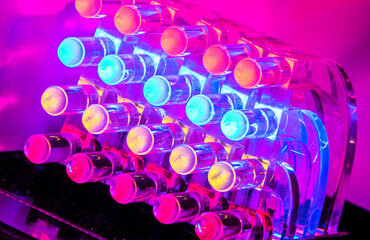 All of MENTOR’s LED light guide solutions share the core function of precision-managing the light emitted from today’s powerful LEDs, be this delivering zero light bleed solutions for adjacent light-emitting elements to totally homogenous and directionally controlled lighting for area, strip and tubular lighting applications. MENTOR achieve such high levels of optical excellence by precision-design using advanced ray trace simulations and in-house manufacture using highly specialist proprietary techniques that have been developed over many years. MENTOR light guides are sophisticated hi-tech optics, not simply moulded pieces of plastic and their optical performance conclusively demonstrates this. 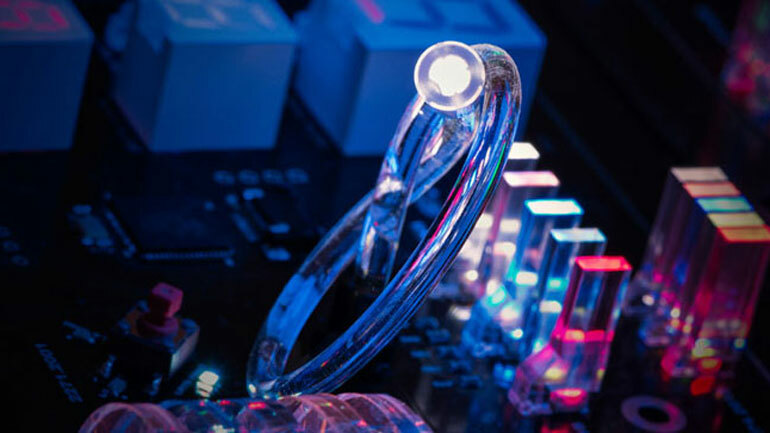 Our "Technology Spotlight" and "Custom Solutions" pages discuss MENTOR’s leading-edge competence in designing, testing and manufacturing many types of optics that precisely manage LED light, including their innovative miniature light guides. 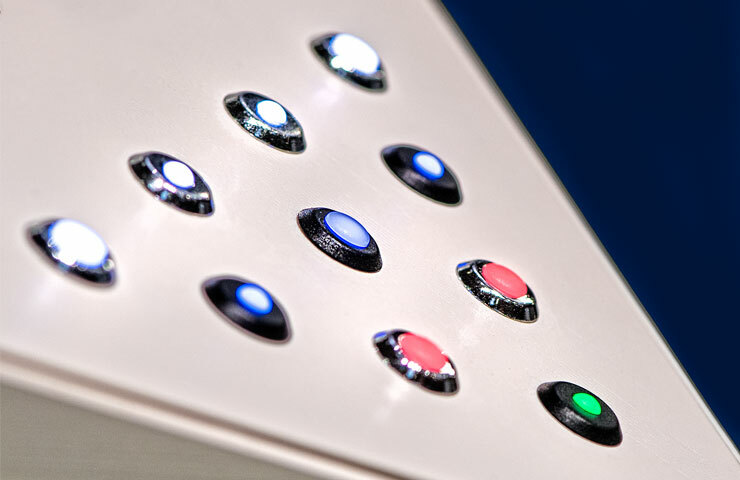 MENTOR standard light guide systems are designed and manufactured to the same exacting standards; the core offer consists mainly of what Design Engineers most commonly need and want - cost-effective solutions to transfer light from the LED PCB to the front panel, without loss of luminance. The basic function of these types of light-guide is to emulate a hose pipe with 100% of water going in one end and 100% coming out the other with no leakage through the tubing! Like a hose pipe there often needs to be a nozzle to control the angle of spray. 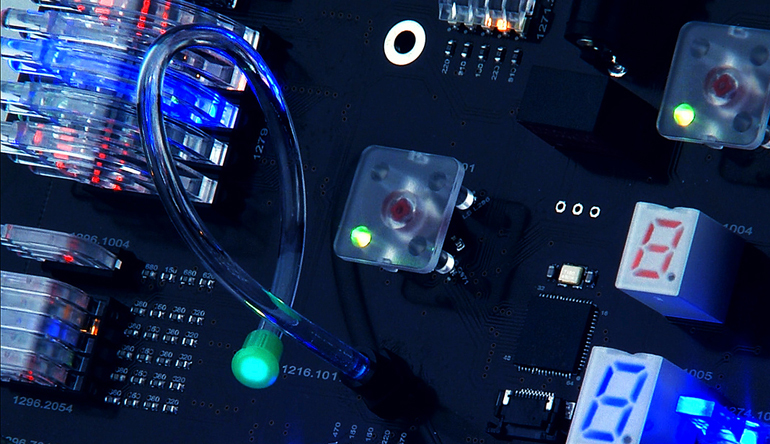 Cost-effective SMD manufacturing can be used, with the light guides push-fitted onto the PCB as a final process. No separate PCB is needed. No fiddly alignment of LEDs to panel holes is required. The highest quality optical performance possible with no light bleed. (Side-by-side comparison with alternative solutions really does drive this message home! Sometimes you need to "see it to believe it"). Our video might help with this. It is worth noting that MENTOR can often supply non-standard lengths by using a low-cost tool insert rather than needing an expensive re-tool. If you require a special length please contact Multitron, we can often find a low-cost workaround even for smaller quantity requirements. Because they are precision optics, light guides should never be cut to a different length but it is sometimes (not always!) possible to latterally cut (say) a 10-way bargraph to make two five-ways. Again, please contact Multitron for advice before attempting. Proper light guides (aka light pipes) are precision optics and cannot simply be ordered from the local injection moulders! You can view a short but exciting video of functioning MENTOR light guides and other opto components by clicking the image below. MENTOR PCB-mounted light guides are attached to the Board via press-in lugs with compression fins. MENTOR flexible light guides can be a design solution themselves at the inception of a project but are also often a “life-saver” during a mid-cycle face-lift. See our blog. There are over 450 variations in MENTOR’s standard light guide range, the majority of which are immediately available from stock with small MOQs. Dimensional modifications can normally be supplied with little or no tooling cost.